OMG - this is super fantastic!! 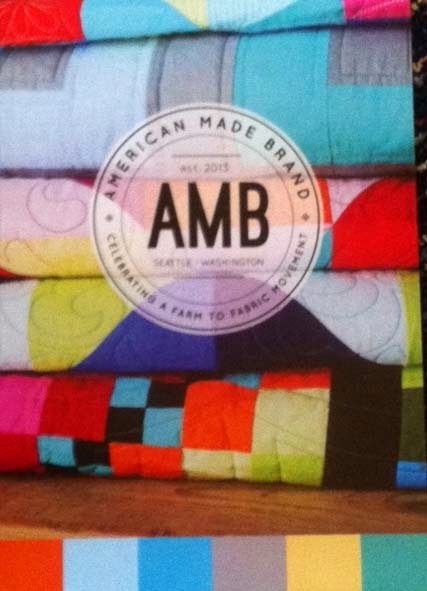 The AMB fabric colors are great, and of course you thought to put Wisconsin in RED! 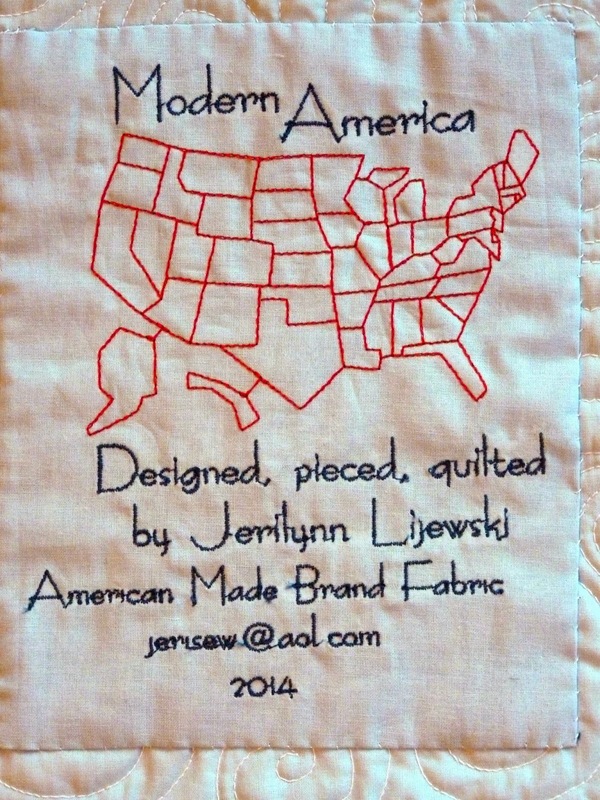 Safe travels, Modern America quilt. If you ever need a home, I will find a place of honor for you at my house. 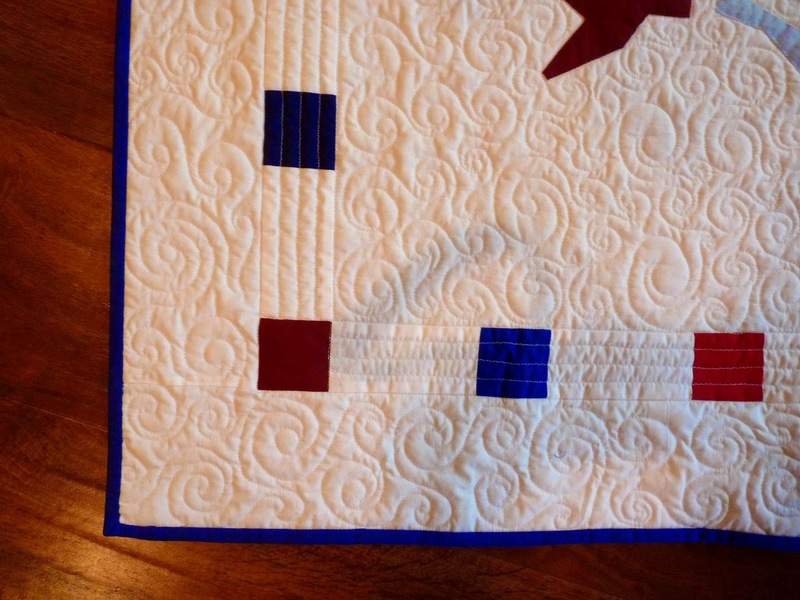 First dibs (after Jerilyn's kids and grandkids decided they have too many of her fabulous quilts)! P.S. How can you be so prolific? I have made 6 "hot dog method" pillowcases and hemmed a new shower curtain in the past day and a half and I feel like I accomplished a lot. Oh Jeri, how beautiful! It makes my heart swell! Thanks, Chris and Joani! It was fun to do...this pattern has been my favorite to develop. Almost my "baby"! So happy that it gets a chance to have some traveling fun! 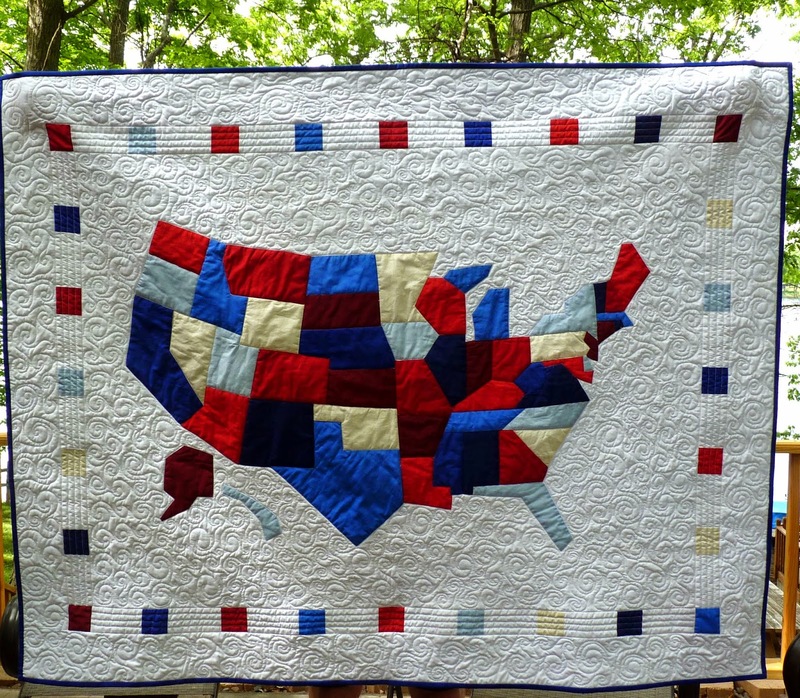 Get ready for the longest comment you've ever had, because I just couldn't help looking up the lyrics to the song I imagine this quilt is singing on it's travels starting right in it's box, in the hold of a jet somewhere over America. I too am glad you are back. I enjoy seeing your creations. Also, have been following the AMB blogs. Love the USA embroidery. Is it a pattern? 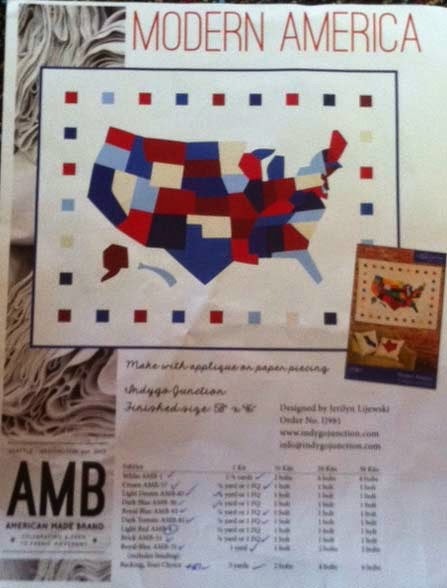 The USA embroidery on the quilt label is a machine embroidery I digitized based on the Modern a America state outlines. Do you have a embroidery machine? Send me an email Jerisew@aol.com and we can chat about the embroidery. BTW, also like your circular stow and go cases. HI, I bought this pattern from Fabric Depot in Portland Or. After I got home in Wisconsin, I tried to go the site to download the pattern. I wasn't able to find the site. When I typed the addy in nothing shows. I really want to make this as my hubby to some traveling, I would like to mark where we have been on our travels.